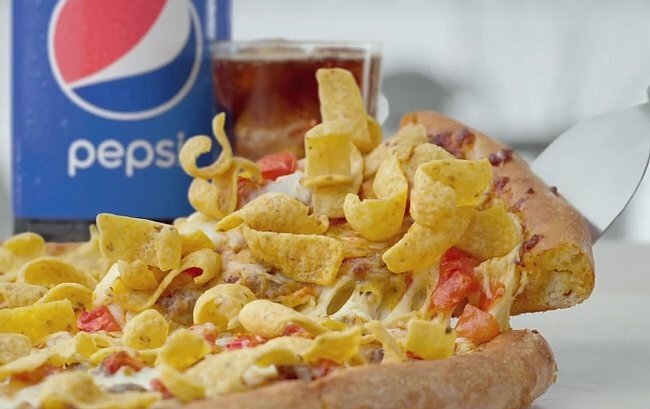 If Frito pie is your ultimate comfort food dish, then you’re going to love this new creation by Papa John’s. The Frito Chili Cheese Pizza is essentially a mashup of pizza and the tailgating classic. Never a brand to shy away from excess, Jack in the Box added a sandwich dubbed theChick-n-Tater Melt to its late night menu in September. 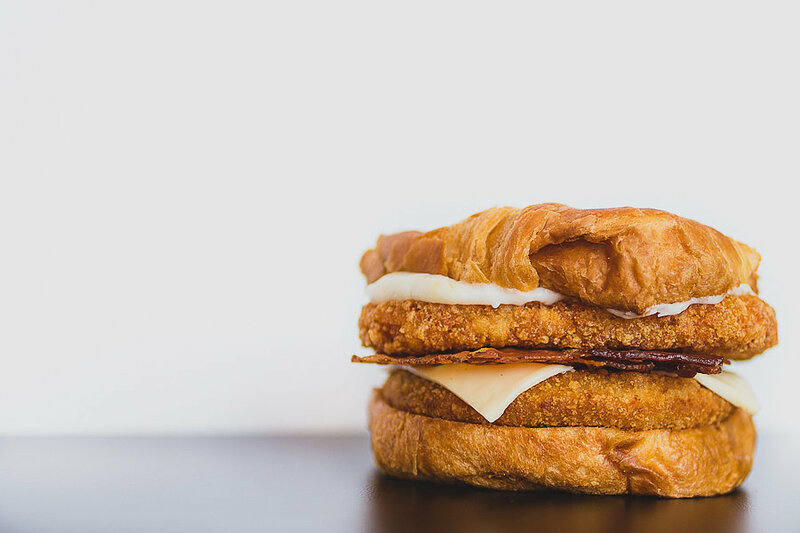 Packed between a croissant is not only a fried chicken patty and a hash brown patty but also Swiss cheese, bacon, ranch, and cheese sauce. Quite the mouthful just to say out loud! So what the heck is a Buffalo Crunch Doughnut? 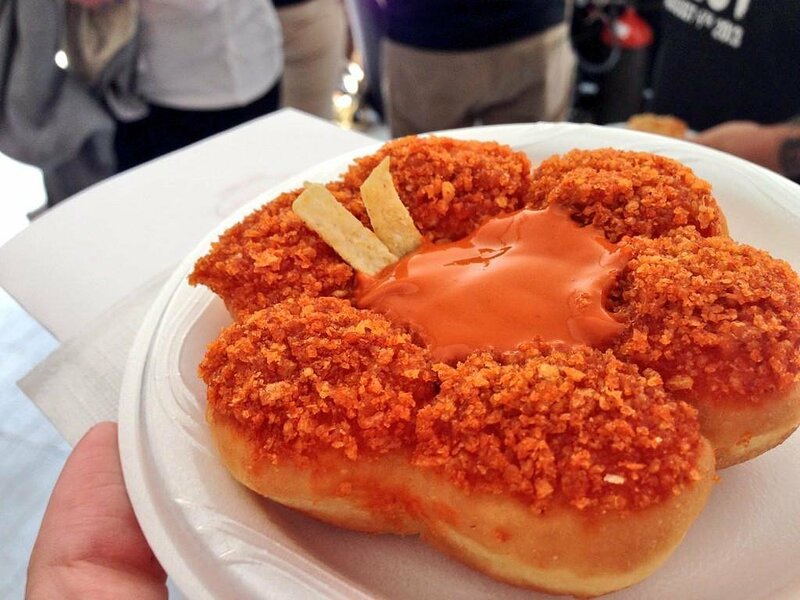 Tim Horton’s debuted this creative and savory flavor at the New York State Fair. 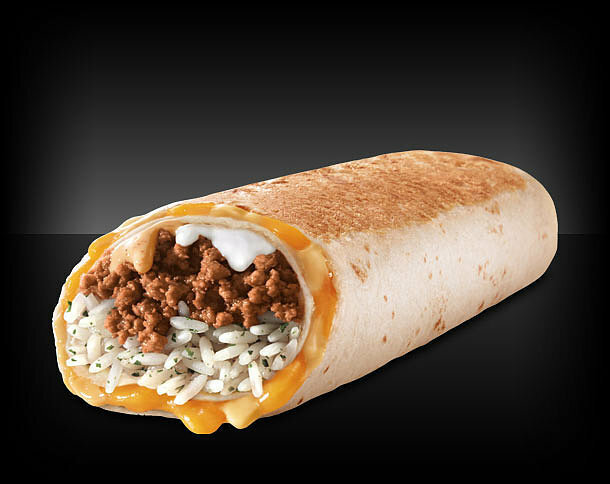 Taco Bell nearly caused a Mexican food revolution when it introduced the Quesarito, a burrito wrapped in a quesadilla, in June. 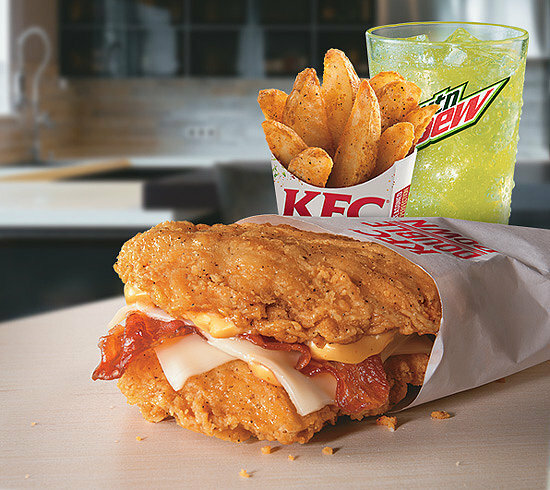 After developing a cult following in 2010, KFC made fried-chicken-lovers jump for joy when it reintroduced the Double Down earlier this year. The “sandwich” consists of bacon, monterey jack cheese, and special sauce packed between two fried chicken filets, no bun necessary. 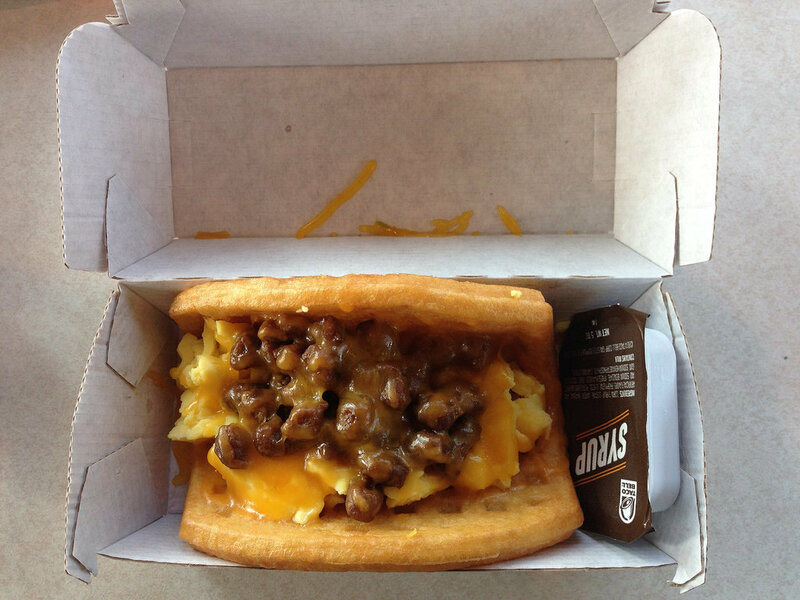 When a sweet, fluffy waffle met the cheesy, rich taste of Mexican food, the Taco Bell Waffle Taco was born.